Education doesn’t have to end where conflict begins! 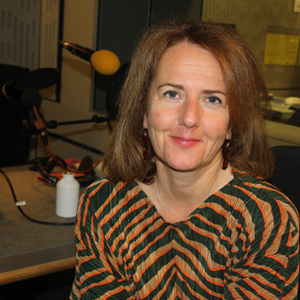 My name is Fi Glover and you may know me from the Listening Project or My Perfect Country on BBC radio. I want to share with you how radio can be a powerful tool in providing education to people whose lives have been torn apart by conflict. I wonder what you expect when you turn on the radio? Radio is a lifeline for so many people, a chance to connect to a world otherwise out of reach. And I want to share with you how powerful a tool radio can be in providing education to people whose lives have been torn apart by conflict. Conflict has caused millions around the world to miss out on formal schooling. But radio education offers them another way to gain the skills and knowledge they need to improve their lives and its accessible from the safety of their homes. Africa Educational Trust has over 20 years’ experience delivering education programmes in conflict-ridden parts of Africa. Right now, in South Sudan where civil war continues to rage, their twice-weekly radio programme called Speak-Up provides basic English education, which can lead to a certificate at the end of a 6-month course. Speak-Up gives people, like Rose, a second chance at education. Rose was a young girl in 1985 when the last civil war sent her fleeing into the bush. 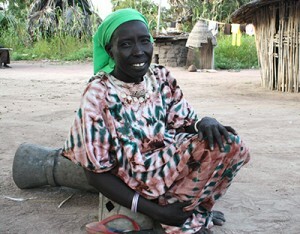 She survived 20 years of that conflict, but she lost her husband and 8 of her 9 children. Now in her 50’s she is overjoyed to finally be able to learn again. Every Tuesday and Thursday, Rose and her sole surviving daughter Mary, share the joy of learning together as they listen to the Speak-Up lessons about health, agriculture and human rights. Rose’s hope is that Mary will have the education she missed. She says education will be the key to making a better life for them both. Education doesn’t have to end when conflict begins. Its costs £23 to equip a classroom with supplies for radio learners. It costs £62 to broadcast the Speak Up programme for 6-months, which can reach 1000 people like Rose and Mary. It costs £48 for someone to complete the certified course. But whatever you can donate, you will be giving education to someone who desperately wants the chance to learn. You can listen to our appeal online at the BBC Radio 4 website. You can give the gift of education to someone who desperately wants to learn. Radio lessons are a low-cost, low-profile way to provide education. This makes them perfect to reach vast numbers of people, whatever their circumstances. Learn more about our radio education programme. Rose is just one of thousands of people who have benefited from listening to our radio education programmes. Radio education classes bring together people from diverse backgrounds from internally-displaced refugees to people with disabilities to young mothers. Read stories about other learners. Impact of BBC Radio 4 Appeal.